Tamir Akta is a graduate of the Talma Yelin school of arts, a recipient of the America Israel Cultural Foundation scholarship 1987-1995, and winner of the 1991 Interlaken Classics Competition, the Selmer Trumpet Competition and the young soloist Trumpet competition. Tamir completed his academic training in the Paris Conservatory. Musical education is close to his heart. He views it as calling and an obligation to train the next generation of musicians in Israel. 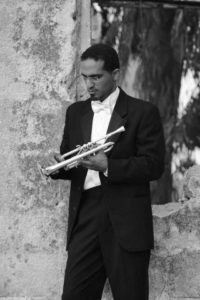 In addition to his performing schedule and composing projects, Tamir teaches trumpet and supervises an elementary school music education project in Raanana. As a composer, Tamir has been writing for seven years and performing his own works in the concert halls of Israel and Europe.